A ‘swan song’ is supposedly a beautifully song sung only once by a swan in its lifetime as it’s dying, but in less adventurous terms the phrase can also mark the end of a career as a final piece of work. Both seem apt to describe Lakefield’s final venture, as although Swan Songs is the bands last release it’s also a stunning collection of songs that see the Vancouver-based band bow out in fine fashion. Five years after the band formed and four years after debut Sounds From The Treeline their final release marks the closing chapter in their story, and they describe it themselves as ‘one wholehearted performance amidst our death throes’, which it certainly is. Swan Songs is the definition of wholehearted, brimming with a passion for the songs it contains, making them count more than the band could have anticipated. There’s a charm to each of the six songs found on Swan Songs, even the short and quirky ‘Interlude’ and the majority of this charm comes from the singsong vocals of Kate Rossiter, who excels throughout. The band has been likened to Death Cab For Cutie, and Rossiter comes across a little Ben Gibbard at times, which is never a bad thing. Her harmonies often perfectly match the melodies playing alongside her, and on tracks like ‘Cupid’ her vocals are nothing short of delightful. There are flashes of The Postal Service in the back and forth vocals she shares with Steven Luscher on ‘Don’t Waste Time’ and the styles they both offer complement and overlap brilliantly, adding for a solid dynamic that adds something more to already contagious songs. Although the following tracks don’t quite match the opener, each shines in its own right. Jaunty tracks like ‘Hand Delivered’ are deliciously upbeat, pairing chunky guitar riffs with tiptoeing piano, and these tracks carry a lot of life for a group of artists on their way out. ‘Cupid’ is another feel-good hit despite the opening lines ‘Cupid takes another heart down to the underground / He calls your name and lines up the others / He tosses you to the flame’ as Rossiter and Luscher sing in tandem whilst drummer Paul Teeham delivers one of a number of memorable performances. Bassist Kyle Sulyma isn’t always noticeable but always supplies a catchy backbone, whilst the inclusion of other instruments like trombones work very well, adding a hint of American Football to some of the albums mellower moments. The songwriting on Swan Songs benefits from these little touches and generally the writing is great, capturing a range of emotions and conveying them well through every aspect of Lakefield’s music. Lyrics are clever and reflective without requiring too much thought, whilst the musical side of the album blossoms at every opportunity. Considering Swan Songs comes in at just under twenty minutes there’s a good amount of variety, shown primarily on expansive closer ‘Your Conviction Is Sweet’. An acoustic intro gives way to trombones and shimmering melodies before both are suddenly dropped in favour of thick guitar riffs and pounding drums. It’s a final track that leaves a mark, if only by reminding the audience just how much the band has to offer. 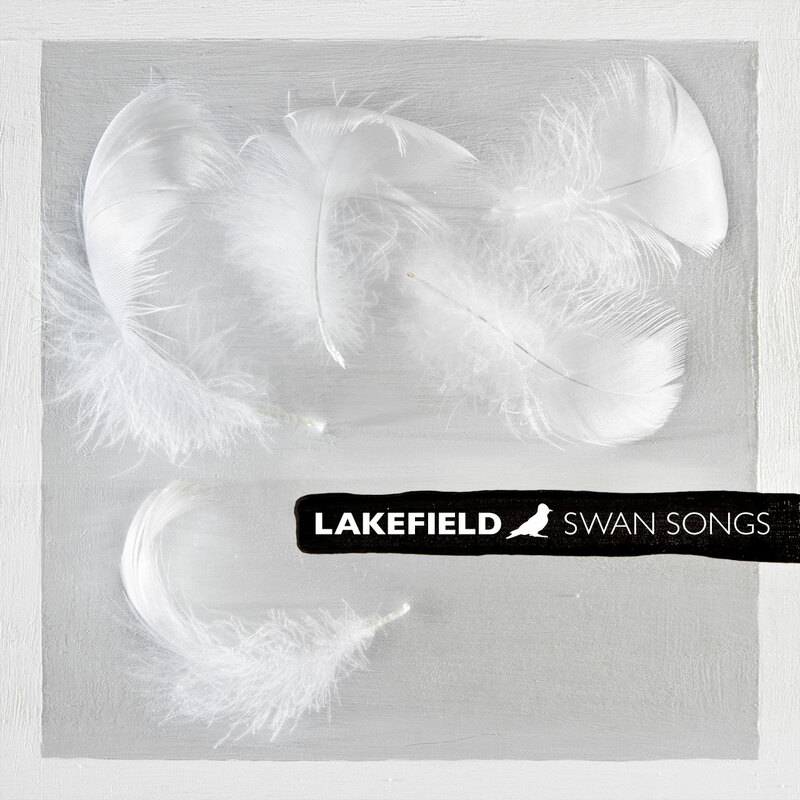 It’s a shame that Swan Songs is the last we’ll ever hear of Lakefield, but it’s also quite the way to sign off. It presents a remarkable array of songs which are consistently engrossing and exceptionally delivered. Lakefield can go out with their heads held high, because if Swan Songs is the band during their death throes then the dance they depart with is majestic. Swan Songs is set for official release on the 14th February, and you can preorder it here. Not a problem Steven. I really enjoyed it, and still do.